The Web Design & development industry has grown up exceptionally and in its way to continue expanding. With this increase in the size of industry, number of developers has been also increased in parallel. 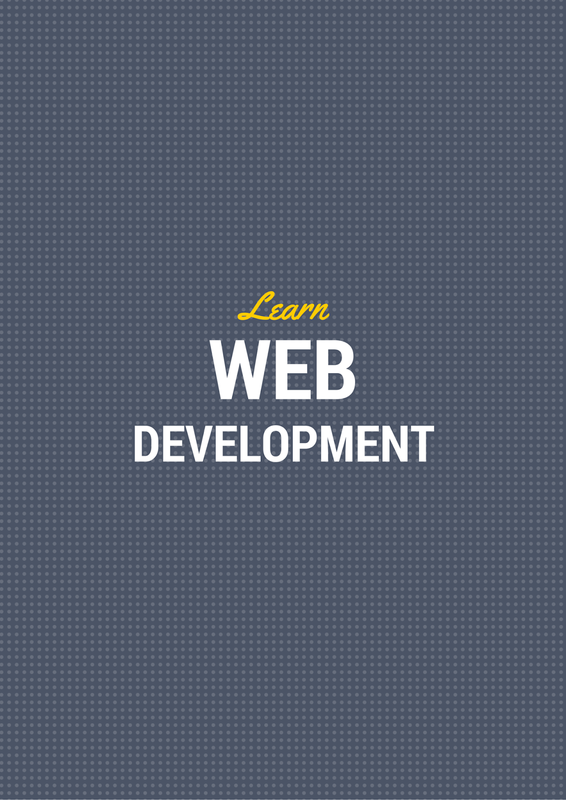 If you have already decided to learn web development you can get started with some good web development books. Otherwise read below to understand why learning to become web developer will help you. The world is now chock-filled with numerous brands which have resulted in increased competition among the business. Now companies are shifting their marketing efforts towards online world and for this, they are in search of highly developed quality websites. Now it’s your turn to show your intelligence and convince them with your work. You have more chance to show your creativity in web development. When you start a web development, it costs very low. You just need a computer and internet connection. The only thing where you have to spend is the web space where you can launch your website. You don’t need to invest heavily in machines, labors or building. Almost every other home is now equipped with internet connection, that means you can find your customers or clients from any corner of the world. You can strike a deal with anyone sitting in other part of the world. With this increased network, people can contact you and ask you to work for them. Development of smartphones, tablets, ipads and other devices have played major role in the expansion of web design industry. These devices help to reach developers and discover more and more innovative use of web design development. This is the reason that today every website needs to be responsive to run over all smart devices. Here is some responsive website inspiration for you. The growth of web development is in progress still and much more to explore for the future. Opportunities are spread all over the world and developers are less in numbers so you can become a developer and have your name in the list of top-notch web developers. When there is technology involved in your profession, distance doesn’t matter anymore. If you are at home, at coffee shop or on vacation, you can work everywhere. You can have a diversified portfolio of clients that may cover all regions of the world. As a web developer you can go native in your work field. You can explore as many ways to create something new. You can search, research and come up with a new tool as there is no limit of this learning. You just need to b expert and have enough knowledge about your work and tools. See the innovative work of Lordz. Well that’s not enough from it; you can work as freelancer and become your own boss. People will reach you to work for them. You can work at your own pace and set schedule for yourself. You may explore more and get yourself empowered with new creative ideas. As there is no end of learning, you can teach others too via workshops. Share your experience if you have found something more interesting in your job as a web developer. Fiona Allen is a designer and writer. She has been working for 5stardesigners for over 2 years and trained many designers who wishes to build their career in article writing too. 5stardesigners aims to provide Professional SEO Packages to both small and medium size businesses all over the world. Follow 5stardesigners on Twitter to know more about company.